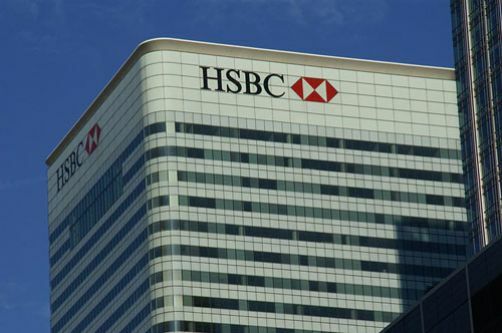 In April 2015, HSBC, Britain’s biggest bank, announced it would review whether or not to move its headquarters outside of London, with reports the bank would consider moving its base of operations to the USA or Hong Kong. Headlines alleged HSBC’s review was a timely huge influence on George Osborne's decision to scale back his banking levy while introducing a new 8% tax surcharge on profits. The 10-month review came to its conclusion when HSBC announced the bank would remain in the capital, where it has been since 1992. “The focus on regulation and the current state of the Chinese market has blinded us to other reasons why HSBC chose to stay put - it is likely the collective interests of the UK corporate elite played a role. HSBC is an important part of a network of interlocking directorates; it is also a vital source of revenue for consultants, accountants, lawyers and many others. They probably tried their best to ensure the bank did not move. We know that physical proximity is still vital for securing work in these industries. It is likely it would not just be the elite who benefit. When job cuts come, they tend to be administered much more harshly to far flung operations. Having HSBC headquartered close to home is likely to soften the blow of any restructuring. “Another reason why HSBC probably did not move was that it would be stepping into a completely different business environment. All the evidence shows that when firms move headquarters, they start to copy their new neighbours. This would have meant that HSBC would slowly become more like a Chinese firm. That would have meant a culture which emphasises personal connections over almost anything else and a large role for the state. The share price of HSBC would have more closely followed other firms located in Hong Kong. This could have been dangerous in a world where China is looking uncertain. “We often over-estimate how easy it is for corporations to shift headquarters. Just like us, corporations are quite place-bound. Between 1996 and 2006 (a high point in globalisation) only 6% of large multinationals relocated. If moving house is awful, then moving headquarters is much worse. “We also ignore the fact that corporate headquarters can be determined by things which don't show up in the annual reports. For instance, the location of a CEOs primary residence, the availability of intercontinental flights, the availability of business services, and history all play a big role. One of the key factors is being close to investors - not close to customers. Even in this age of nanosecond electronic investing, being able to rub shoulders with your investors - or the people who tell them what to do (like analysts) - often counts much more than keeping your customers happy. London is the perfect place to do this. “The impact of HSBC's decision is likely to be good for the City. It will keep elite corporate networks interacted. It will mean the demand for business services created by the headquarters will remain and restructuring is likely to be less painful closer to home." Andre Spicer is a Professor of Organisational Behaviour at Cass Business School, City University London.